Sleek Class C Arrival! See this lovely NEW 2019 Thor Motor Coach Siesta Sprinter 24SS at our Pensacola location today. Stunning Soho exterior graphics. 2 slides and sleeping for 6. 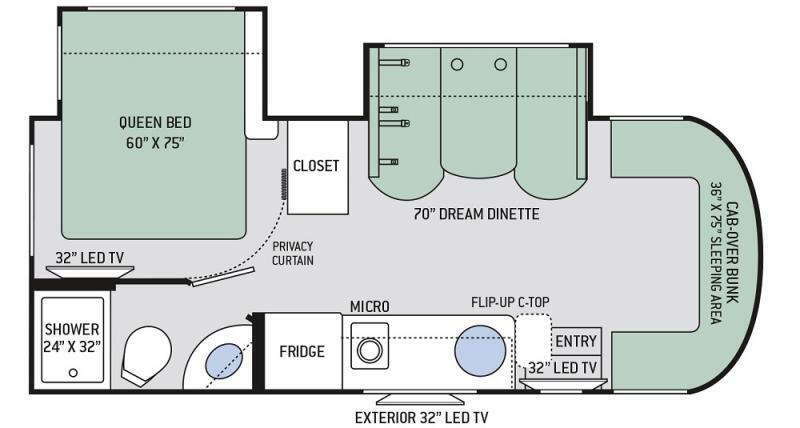 Rear bed and bath suite will be sure to please. Roomy kitchen and dining with enough room to relax and entertain. A MUST SEE!